Following the fifth edition of “Macao Philatelic Catalogue” issued on 2011, the sixth edition has also been well-printed. Continuing the previous edition’s format, it covers well-organized text providing comprehensive background information on all philatelic products issued from 2011 to 2012. 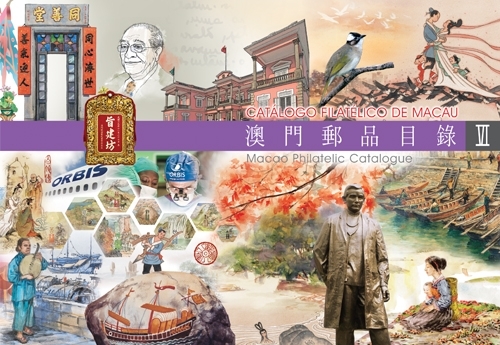 The “Macao Philatelic Catalogue VI” is priced at MOP80.00. It will be available for sale at the Philatelic Shop of Macao Post Headquarters, “Rua do Campo” Post Office, Maritime Ferry Terminal Post Office, Airport Post Office, and the Communications Museum, starting from 1st March 2013.